Item # 317225 Stash Points: 2,995 (?) This is the number of points you get in The Zumiez Stash for purchasing this item. Stash points are redeemable for exclusive rewards only available to Zumiez Stash members. To redeem your points check out the rewards catalog on thestash.zumiez.com. Add to your collection of graphic tees with the Artist Collective Death Or Death White T-Shirt. 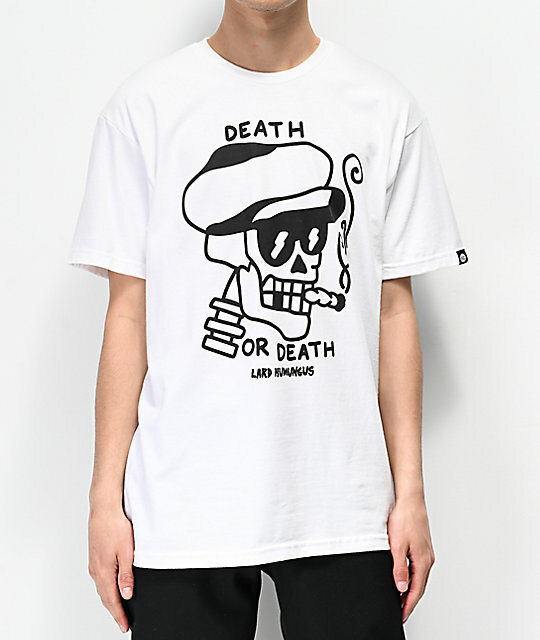 This two-toned garment features an image of an intimidating skeleton smoking, sporting a stylish cap and dark sunglasses; signature artwork by artist Lard Humungus. 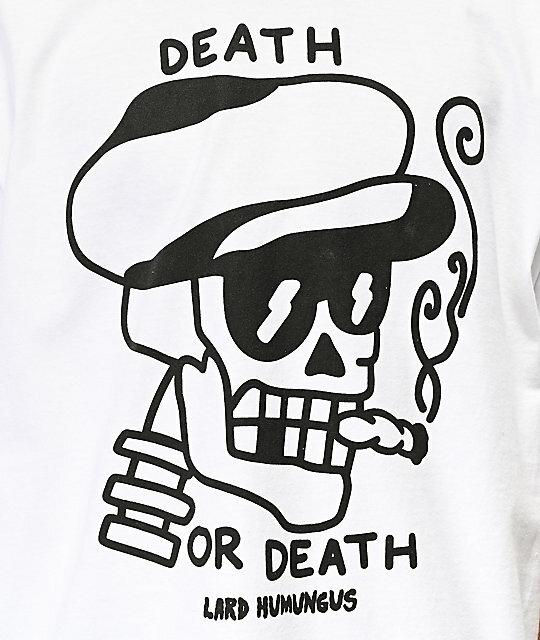 Death Or Death White T-Shirt from Artist Collective. Signature artwork by Lard Humungus.